The cutlery items in this flatware set have handles made of ABS, a latest-generation polymer that is shockproof, sturdy and extremely light. 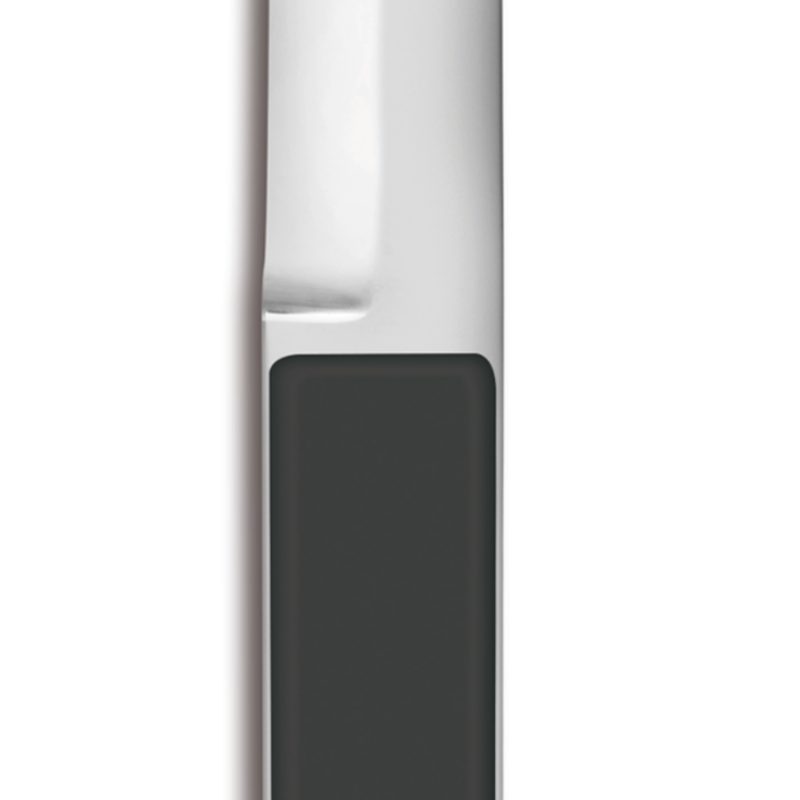 TB Groupe’s design teams created these handles to be ergonomic, bringing you cutlery that is easy to use and grip. The handles have a very aesthetic matte finish. 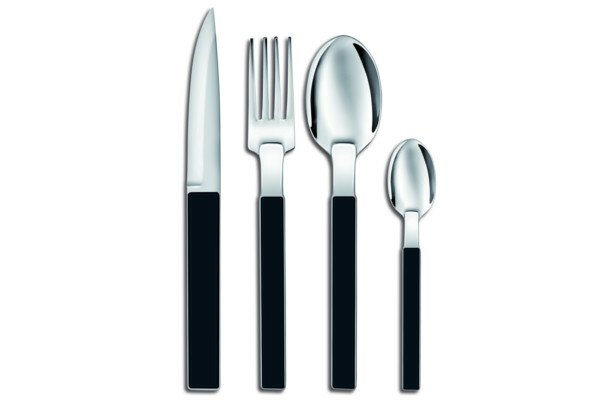 The 18/0 steel used to manufacture the stainless steel cutlery items in the Hector black flatware set is extremely high quality. It is a homogeneous forged, tempered steel that has a very high chromium content, which is very strong, robust and completely corrosion-resistant. 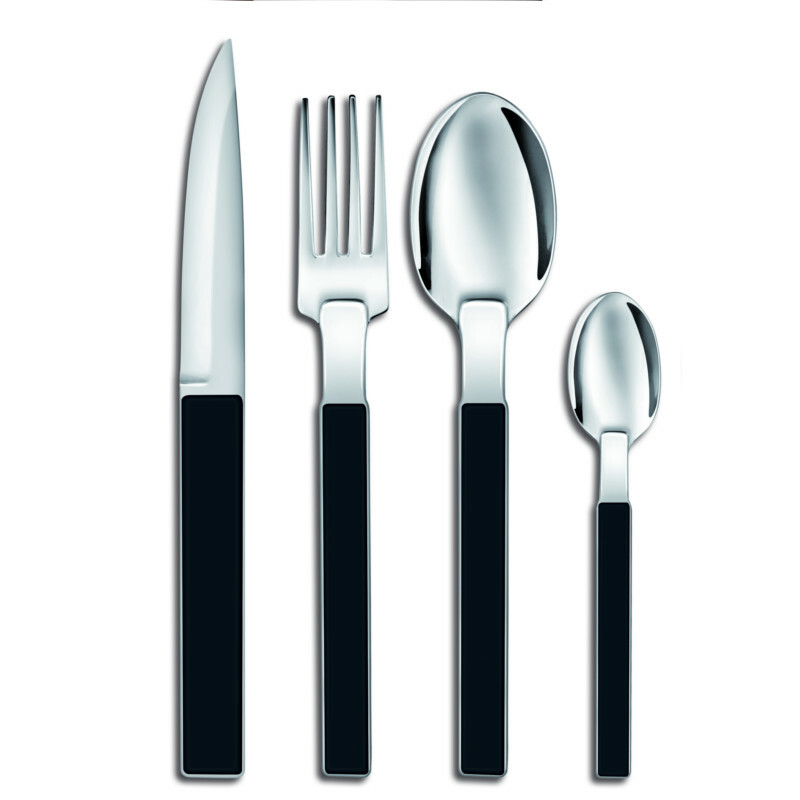 The 4 knives in this stainless steel flatware set have blades with a polished mirror finish and sharp cutting edges that do not dull with regular use.